Below are two quick sample activities, however, since then teachers such as Mylene Catel [alternate site] have put far more thought than I have into this, so you may want to check out their work. Step 1. 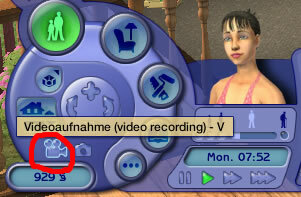 Use the video recording tool to record a series of interactions between characters. Step 2. Have students write a script narrating what the characters are thinking about or saying. Step 3. 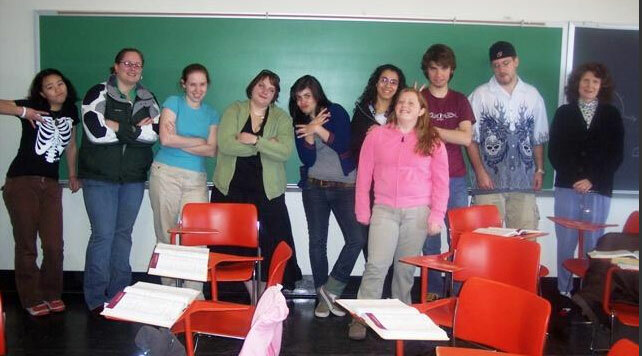 Have the students read the script to the class while playing the video recording. Step 3. Create audio recordings of the character dialogs and thoughts using the free audio recording program audacity. Step 4. Use the online video editing tool jumpcut to combine the audio and video. Step 5. Upload your creation to the appropriate exchange community for your language. Step 6. Check back regularly to read comments youth in the L2 country may post. Step 1. Student write a description of an imaginary family and household in the foreign language. Include X number of specific details ("The kitchen has a black microwave on top of a blue counter", "There is a father with brown eyes, a mother with red hair, two boys and a baby girl", etc). Step 1.5. The teacher helps correct any mistakes in the descriptions written by students. Step 2. The students randomly shuffle descriptions with one another. Step 3. Use the cheat mode to give students unlimited money. Step 4. Students create the family and household outlined in their description. Step 4.5. The teacher assesses how many of the specific details the students correctly incorporated into their creations. Step 5. Students again shuffle between computers. Step 6. Students verbally describe (in the L2, of course) to one another their new family. Students try to discern which family is the one they originally designed.